This is an incredible, Lower Permian, fossil reptile mass mortality block from the famous Richard's Spur Quarry in Oklahoma. 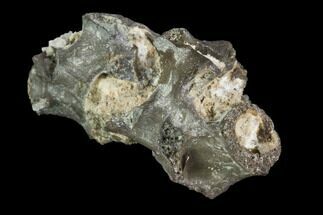 It was found in a cave fissure fill deposit within the quarry. There are three partially articulate Captorhinus aguti as well as parts of a Varanops skull which have been exposed through very careful preparation under microscope. 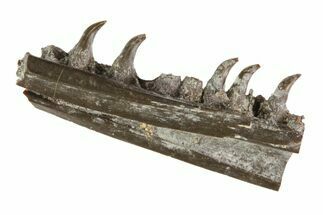 Central in the block is a 2.7" Captorhinus skull which is laying on top of the jaws of a Varanops. 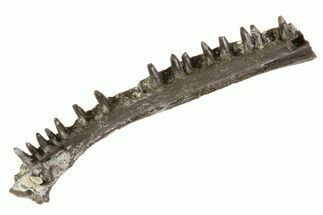 There are two, vertebra columns to the side of the plate that would have gone to different animals, along with many disassociated bones. The entire piece is 8.7 x 6" and has no restoration. Comes with a display stand. 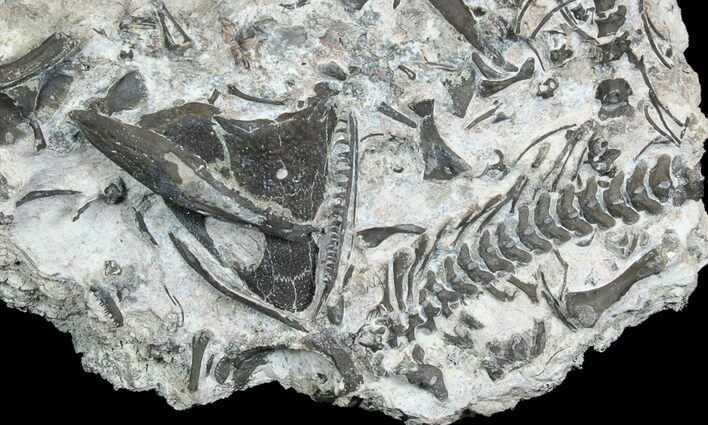 Captorhinus is an extinct genus of captorhinid reptiles that lived during the Permian period. 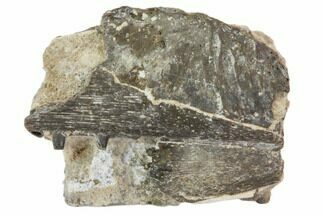 Its remains are known from North America, Europe, India and Africa. 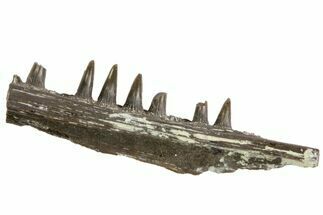 It was fairly small, around 12 inches in length and likely bore a resemblance to modern lizards. 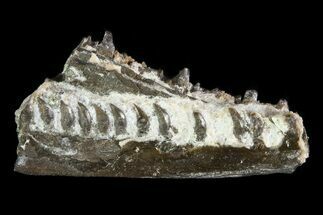 Captorhinus was one of the earliest and most primitive reptiles. Entire piece 8.7x6", Skull 2.7"